Why should I learn Physics? At a philosophical level, you are learning the “User’s Manual of the Universe.” Only by understanding physics, can you answer “Why the sky is blue?”, “Is there a way to create energy?”, “Is the gravity weaker or stronger at the center of the Earth?” and other such questions correctly. Every smart student takes physics and, whether true or not, aptitude for physics is associated with being smart. Therefore, when all else is equal, college admission offices may prefer those who can handle physics with ease. So rather than complaining about this possible misconception of physics, you may as well just use it to your advantage. At a more immediate level, understanding of physics will open many doors to many exciting research areas. These areas include not only physics itself, but also economics, finance, biology, neurology, and medicine (at least two physicists were the recipient of the Nobel Prize in Medicine). Physics is so versatile and rigorous that if you major in physics in college, you can go on to medicine, law, math, all engineering fields, business, chemistry, neurology, computer science, philosophy, psychology, and sociology. In fact, many great figures in those fields come from a physics background. But going in the reverse direction is usually not possible. Only an understanding of physics can lead to the understanding of so many different fields of knowledge. I am busy now. Why should I learn Physics now? You need to learn physics if you meet the prerequisites and when you have a chance because you will have to take it anyway sometime before you graduate from high school. The shocking truth is that you are not so busy now. This will become clear to you only when you look back in a year or two. If you think you don’t have time to study physics now, you will have even less time later when you find yourself having to take physics on top of many other AP courses. Once you realize this, it will be too late; you will just have to muddle through, enjoying less, learning less, and possibly getting lower grades. By having studied physics and taken the AP test, you will appreciate the benefits of the knowledge in your science research and internship opportunities. Not to mention, you will also have time to study deeper and enjoy other subjects more as part of an “un-stressful” schedule. I am still in middle school. And I have never taken Physics before. Should I still take this course? You should consider taking this course only if you 1. have finished trigonometry/precalculus and 2. will simultaneously take (or have already taken) calculus. If you have those two qualifications, then you can take this course. Moreover, we actually recommend this course more to middle school students for the following reasons. There is one major flaw in the American education of high school physics. It is the speed. It is too fast. What other countries’ students learn in two or three years, American high school students must learn in one year. Even if American students spend three years learning physics, Honors Physics followed by Physics B the next year and then Physics C the next, it does not change anything because the students would repeat the same topics three times at the same high speed. The result is a super hurried physics education where the course jumps from one topic to another at a blinding speed. Therefore, American high school physics disqualifies those who could have done well in normally-paced physics classes in other countries. This issue only exacerbates the notion that physics is difficult. One way to counteract this excessive speed is to have depth. That is, allow yourself more time to explore deeper while keeping up with the school’s speed. We believe this will have the same effect as slowing down the rate at which topics are taught. Once you enter high school, you won’t have that kind of time. Only in middle school can you stop to think about the meaning, the history, the implications of each concept you learn and, therefore, complete assignments thoroughly. Even if you have no prior knowledge of physics, you will find most of the concepts rather obvious. “It is a common sense,” you will say. But when you go up against those who have taken other physics courses, such as Physics B, as a high school student, you may feel unprepared. When you are in middle school, that’s not a problem because you have the time to read and catch up in two days. You may feel you don’t have time for this course. But we recommend you re-examine your schedule. Why are you so busy? Are you spending time on important activities? Or are they simply activities you have been doing for a long time? Having done something for a long time doesn’t necessarily mean it is important. Physics is unlike any other subject or activity. 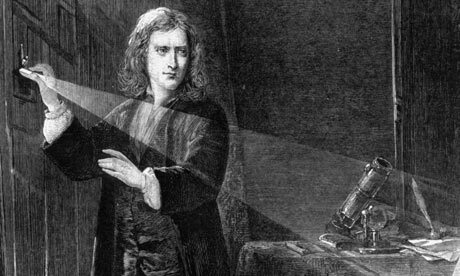 Physics lays not only scientific and technological but also philosophical ground for our modern lives. This is one subject you must study thoroughly. This is one subject that will change your view in life and the path you take. It can prepare you and guarantee your future success in all science and engineering fields. No other subjects or activities can claim this much importance. If you are indeed too busy, this is the one subject for which we actually recommend you pause until May other, less important activities. This course is taught as a live class via the Internet. You will see and talk to the teacher and your classmates as if everyone were in the same room by using WebEx software and webcams. This means you can take this course anywhere in the world with reliable Internet access. All classes are recorded and provided for download/replay by the students. By downloading the lectures, you can keep and review them indefinitely. We also offer pre-recorded lectures we call e-Learning. These are lectures are short (under 5 minutes) and to the point. They also incorporate animations and simulations extensively to make understanding intuitive. A large part of teaching will be done via these e-Learnings, and students are expected to study them before joining class each week. Students learn physics every day during the school year. How can you cover everything by teaching once a week? There is no way we can cover everything by learning 90 minutes a week (or in some cases, 120 min per week). Although we will set up “office hours” during which you can ask questions, most of the learning will actually happen during 1. e-Learning lecture study and 2. your self study with the textbook. In other words, you will do the most studying on your own. That’s the right and only way for you to learn well. If you study only during our class time, you will not do well on the AP test. James Choi will answer any course-related questions within 24 hours, either by explaining with words or making a short video lecture. He will hold office hours if a question is better suited to be answered by live conversation. Most definitely. Some assignments will be online homework that is automatically graded, and others will be graded manually. How many hours per week do I need to spend studying this course? We expect students to spend between 3 and 5 hours a week on their own to study. This does not include class time or office hours. Why are there two parts to the AP Physics C Course? That is how College Board made it. Although there is only one AP Physics B test, there are two separate AP Physics C tests: Mechanics and E&M (Electricity and Magnetism). You can take either or both exams. However, you need to know Mechanics in order to understand E&M. Will I be able to get a 5 (perfect score) after taking this course? Yes, if you do all the assignments honestly. You must have a headset to communicate with the teacher. You must have a tablet to write during class. You must have a webcam (any brand will work) to show your attitude to the teacher and classmates. You must have finished Trigonometry and Precalculus. You must be particularly strong in logarithms, polynomials, and trigonometry. You must have taken Calculus A (up to integration). This is a calculus-based physics. You won’t understand it fully without knowing calculus. It will be easier if you have taken other physics courses before, but it is not absolutely necessary since everything will be taught from the beginning in this course. You must have taken CM 100 or have equivalent knowledge in using Mathematica software. You must be well-versed in the Manipulate, Graphics, Plot, and ParametricPlot commands before starting this course. You must have the latest version of Mathematica (Purchase Mathematica) installed on the computer used for attending class. Yes, they are listed below. We use three low-priced books to encourage students to have a personal and handy physics library of their own as explained in this column: Have a Personal Textbook Library On The Cheap. The material taught in AP Physics C, which is classical physics, has not changed much over the last 50 years. Thus using a book published 20 years ago won’t make any difference. It is always better to have multiple reference books because, invariably, you will find a certain chapter easier to understand in one book than another and a third book better for the next chapter. The prices will vary depending on the supply/demand, but they are usually under $5. We recommend you have all of the following textbooks in your personal library, but if you can only buy a couple, pick whichever are cheapest at the time of purchase. Are there any supplementary materials that you recommend? Yes, we recommend the following courses from The Great Courses. These two video courses are great in showing what physics is about and what physics can do. However, they do not use any mathematics because it is intended for the general audience. Therefore, these two won’t prepare you for any tests. Do I need to use Mathematica for this class? Yes, Mathematica is an integral part of this class. You are already expected to know how to use the Manipulate, Graphics, Plot, and ParametricPlot commands. In this class, we will teach you how to do calculus on Mathematica. Why do you use Mathematica in this course? No one else is using it to teach Physics. We are not the only one. Thomas Jefferson High School has a physics course that is dedicated to making physics simulations using Mathematica. MIT also teaches engineering courses using Mathematica. Normally, physics is taught in the language of mathematics. While effective and elegant, math can easily become too abstract for students. By using Mathematica, we can bring this abstract math to life and see it, play with it, and understand equations at an intuitive level. By using Mathematica, we can simulate these mathematical ideas and gain new insights. Once you understand physics at this level, you can also come up with your own research ideas and perform the research.